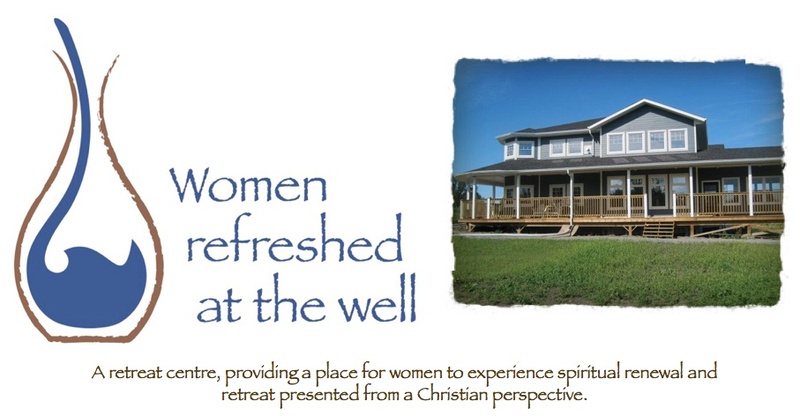 The whole concept of retreat ministry for women was something completely new to me. To my knowledge (at the time, 2000), there was nothing like this in Canada. I made contact with a woman in California who runs a ministry for women. We connected and had a long talk on the phone. She shared with me that the house they have is used solely as a resource center, office and tea garden. She said that they would like to do something eventually, which would be similar to what I told her about. Patti encouraged me to keep praying about the Vision and to get a group of women around me, who believed in me, witnessed my walk with God, and believed in what I felt God was calling me to. She said it was also important for them to commit to pray. I had already formed a prayer team. Another friend, Sherryl, encouraged me to not put God in a box, because He can do far more than what we ask or imagine. I was learning that this was so true! So I continued to be in prayer about it, to journal as God laid things on my heart, and to share with friends. When I finally touched base with Irma, it was a meeting of encouragement, affirmation and prayer. I can still hear Irma’s voice, and see her eyes, as she looked at me and said, “Joy, you have to take the next step. You have to do it.” Shortly after that, I spoke with Margaret, who after praying about it, passed on names of people she thought I should connect with. 2001 brought in many new and exciting things in regards to the Vision. The first prayer support letter went out in January, 2001. At this point, my prayer team had grown to about fifteen or so women. I also began to make connections with names that had been passed on to me through Margaret. Being a relatively shy person, I was beginning to feel God pushing me way out of my comfort zone (believe me, introverts don’t like this!). In March, we met Ken and Carolee. We spent many hours with them, getting to know them better, and also hearing about the ministry they were involved in. It was at this time, that I heard Ken ask my husband Alvin how he felt about the Vision. This was so good for me to hear. You see, I knew that Alvin and the kids were behind me on this, but it was quite different to hear someone ask Alvin and then hear him talk about how he felt, what he believed, and what place he felt he played in the whole Vision. For me, this was great affirmation. It was very good to talk to Ken and Carolee, as over the past few years they had also had a similar vision for ministry, except their clientele would be pastors and missionaries. Unfortunately April caught me off guard, sidelining me with a bronchial infection that seemed to last forever, and so I laid low for a few months. However, June came along and I felt a “nudging” to contact David Unruh from Rischuk Park Realty. We met for breakfast at Perkins. I shared the Vision with David. We were not in the place to begin to look for anything, however, I felt I needed to share God’s vision with him, to get him on board so that he could keep his ears and eyes open. Before we left Perkins, David asked if he could pray for me and the Vision God had entrusted to me. There we sat in Perkins, in prayer. Up until this point, most of our sharing had been with women and very few men, so it was very encouraging to hear David’s feedback. I came away truly blessed.